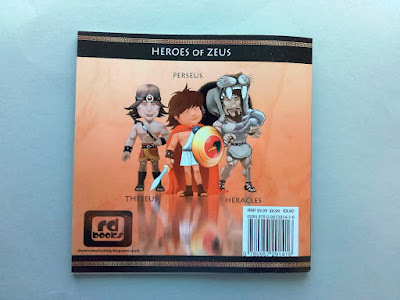 The Mini Myths Blog: Book One Proof! Last Wednesday morning was a lovely sunny affair. A nice crisp March morning in fact and as I was enjoying my first coffee of the day there was a knock at the door! 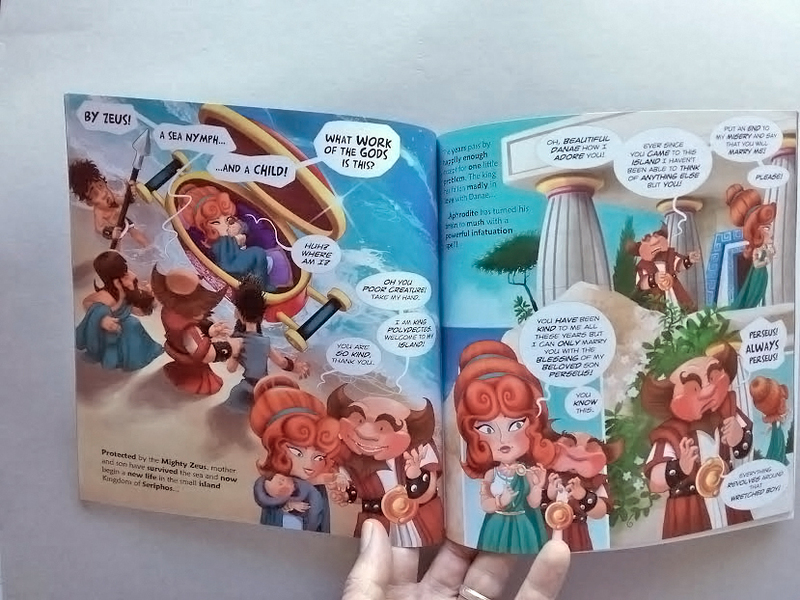 It was my proofs back from the printer! Could the day get any better? Well, yes! I eagerly ripped open the manila packaging to unleash the treasures that lurked within! And out dropped two splendid copies of Mini Myths Book One! You'd think after so many years of working on this project with all the stopping and starting that I'd be tired of looking at it but no way! Let's be honest creating artwork digitally for a digital format is great but you can't beat a physical copy to pour over. 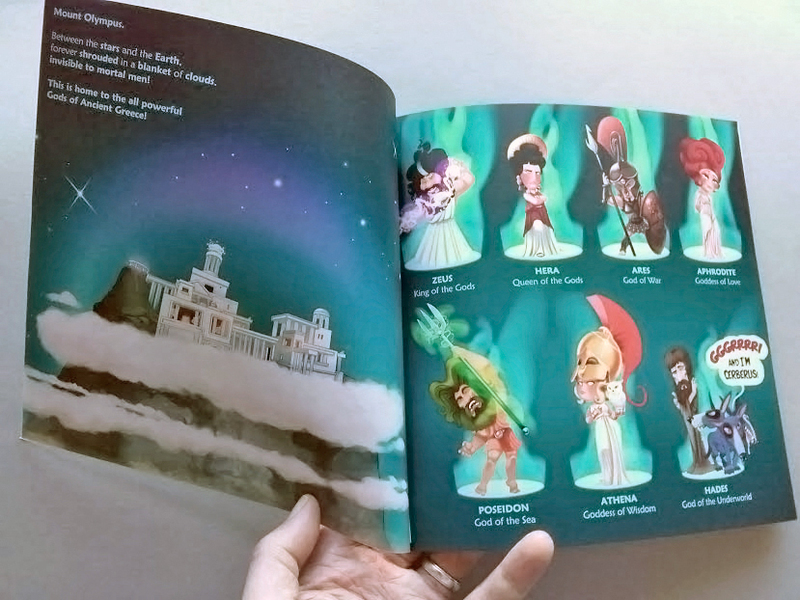 There is something magical about seeing your work in print, bound up as a book. 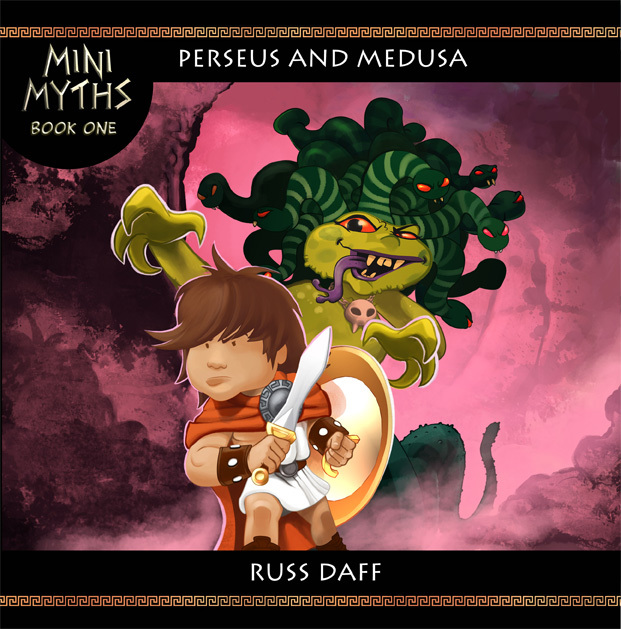 Also I have taken time to re-format Mini Myths from the original iOS App into a children's picture book and comic book hybrid. To accomplish this I needed new elements to be created. My Wife has read these stories from the very first incarnation back in 2008 but I hadn't really shown her much of the new content and layout of this version. So I was really pleased when she read this version and instantly commented on how great it read and the flow seemed much more fluid. Anyway, back to the proofs. A good example of new artwork created to enhance the story telling. This is the second lot of proofs that I requested. The first had a different cover that really didn't work and, shock horror there were three typo errors! Unforgivable. Anyway this second proof is the business. 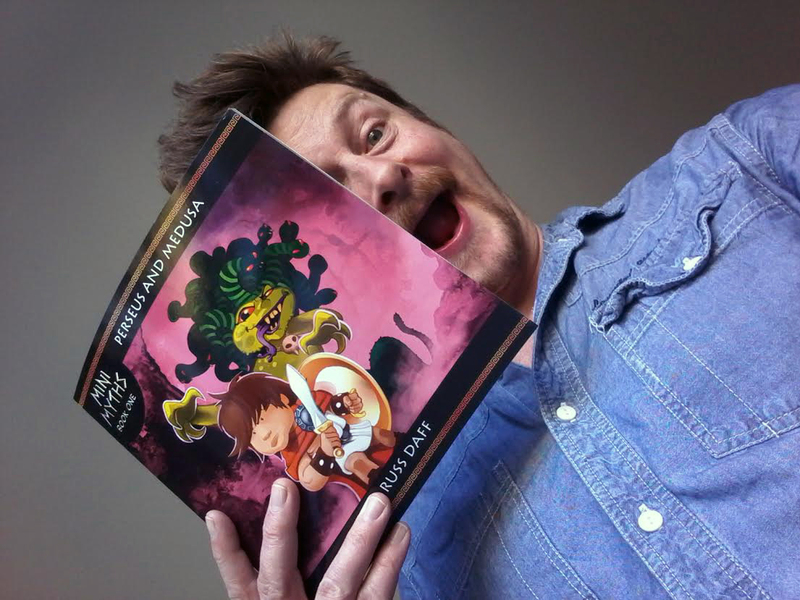 I'm really pleased and the book can now go into production and be available to buy. This series has been and continues to be a labour of love. 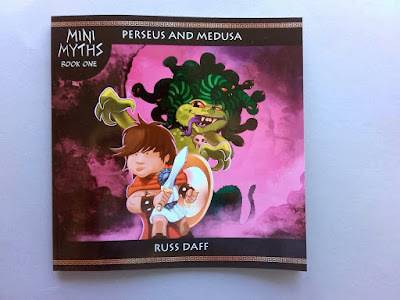 After having the disappointment of not being able to continue these books as iOS Apps for various reasons I almost gave up on Mini Myths but now it's back, bigger and better than before! 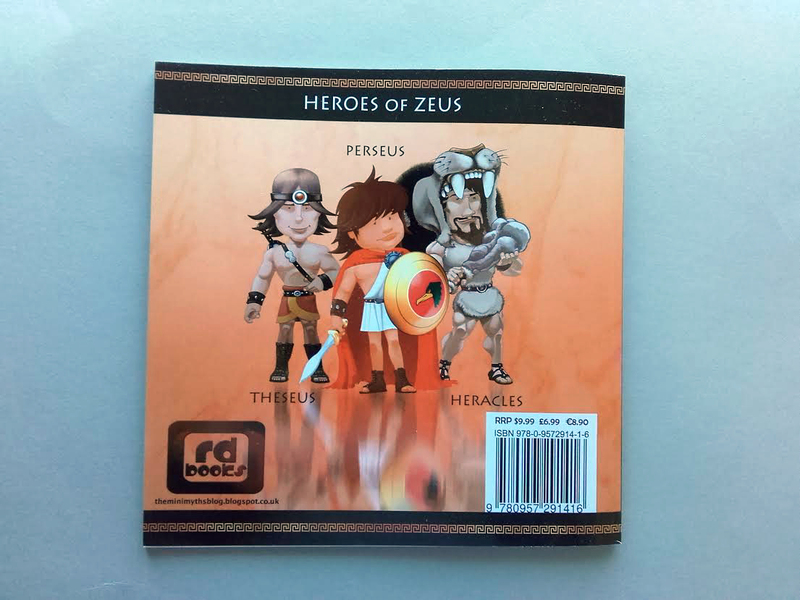 BY THE GODS WATCH THIS SPACE!